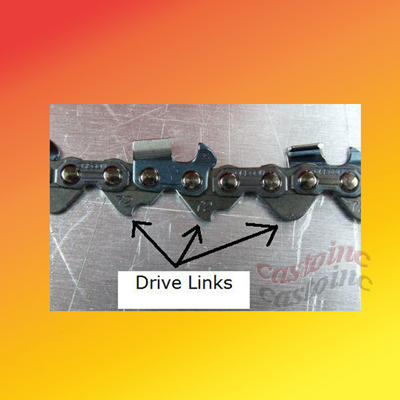 The number of teeth, or drive links, equals the length of the chain. Write down this number. Calculate the pitch of the chain. The pitch is the distance in inches between any three rivets, divided by 2. The rivets are the "bolts" holding the links of your chain together. Measure the distance from the center of the first rivet to the center of the third rivet. Divide this length in half and write down this number. Measure your chain's gauge in inches and write it down. 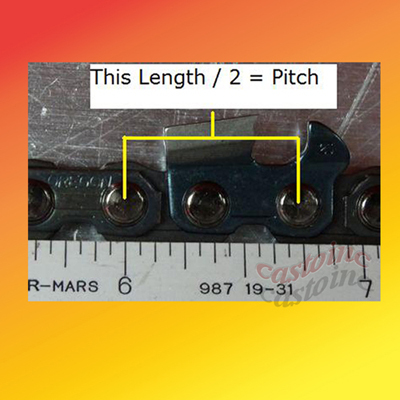 The chain gauge is the width of the notch in the drive link where the link fits into the groove of the bar guide. This will be a very small number, around 0.05 inch. View the drive link from the end -- not from the rivet side -- to see the notch.